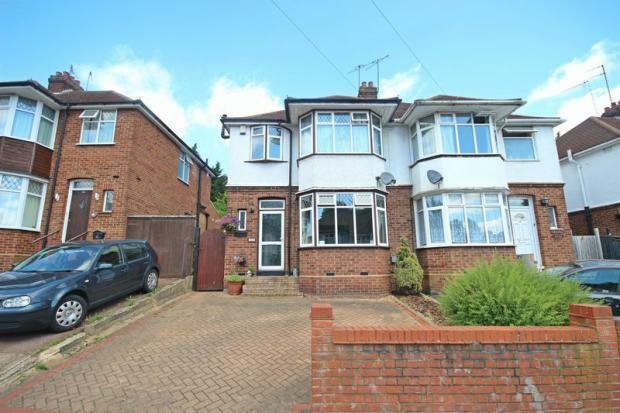 3 Bedroom Semi Detached House For Sale in Luton for Offers in excess of £315,000. An incredibly spacious and very well presented semi detached family home located in the sought after area of Farley Hill. This superb property has been carefully maintained and adapted by its current owners to provide a large living accommodation fit for any family. In brief the property consists of; an entrance hallway, living room, dining room, a beautiful open planned kitchen/diner with built in appliances and island and a utility room. To the first floor, the extension continues as there are three fantastically sized double bedrooms in addition to a family bathroom and a refitted shower room. Externally there is a large very well kept 120ft approx. rear garden set over two tiers including both grassed and decking areas. To the front there is a block paved driveway for 2 vehicles.